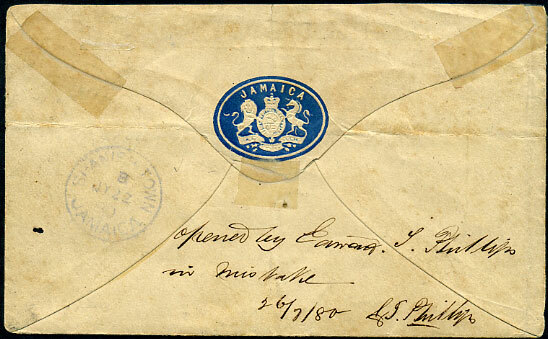 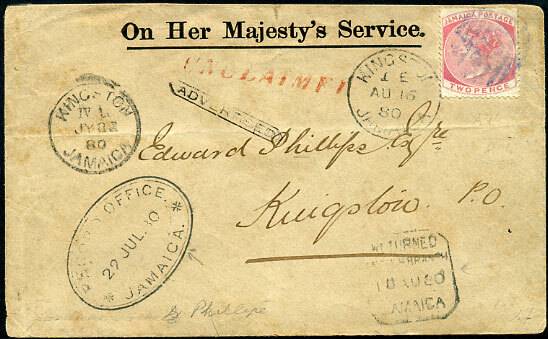 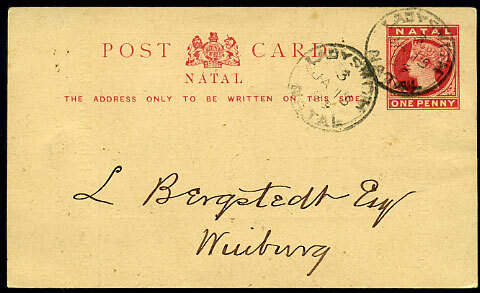 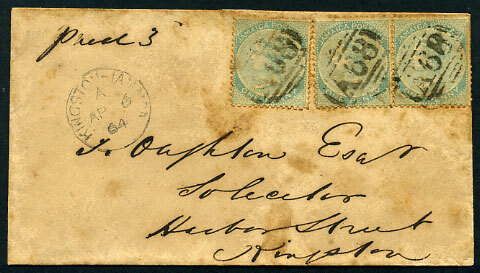 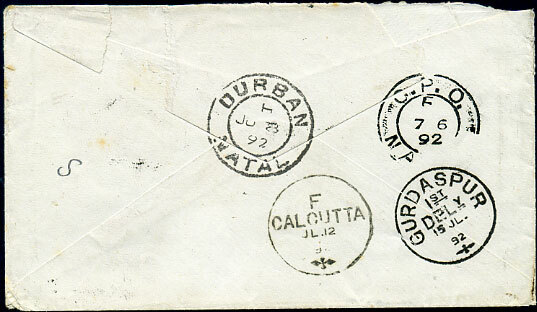 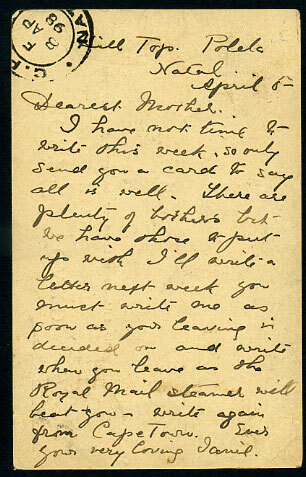 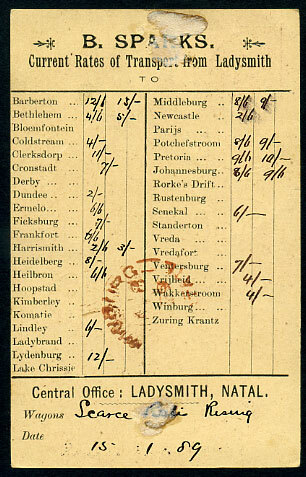 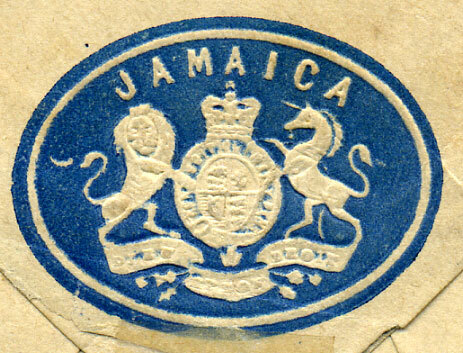 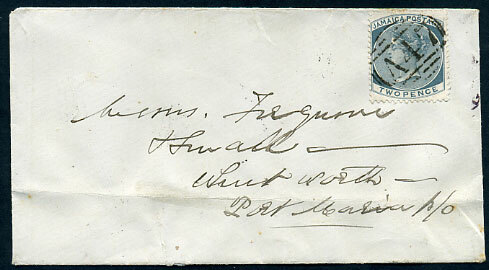 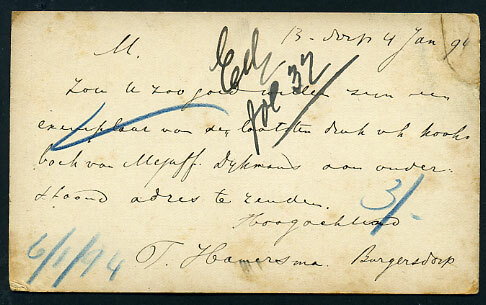 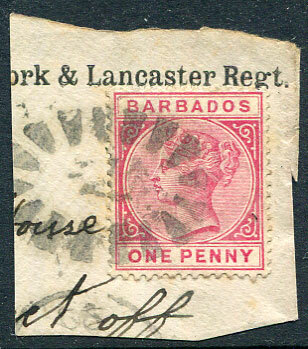 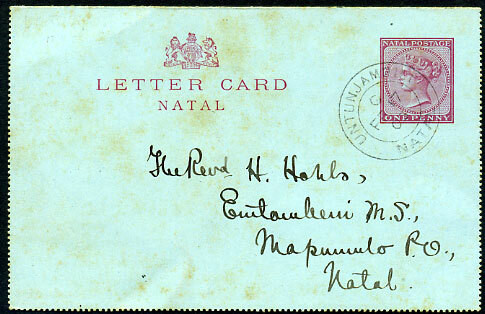 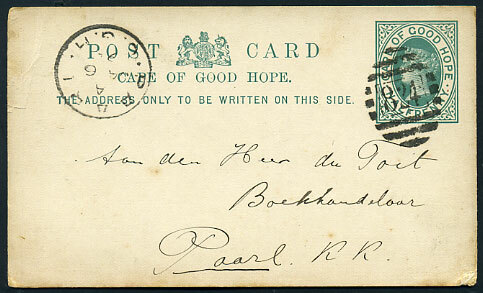 (M.1) dated C/FE 17 05 on QV 1d Letter Card to Mapumulo P.O., toning. 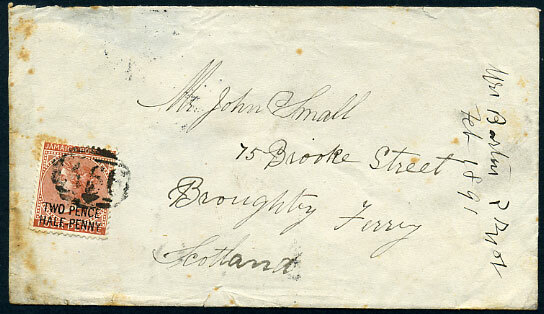 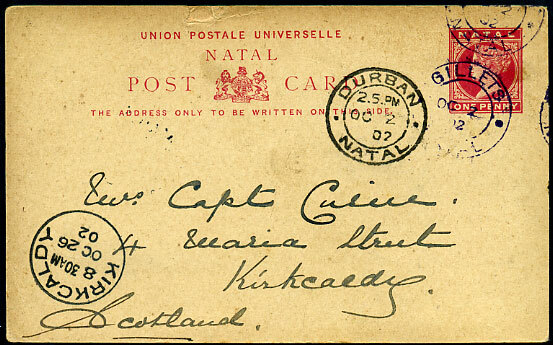 (M.4.1) in purple dated OC 2 02 on pictorial views QV 1d Post Card to Kirkcaldy. 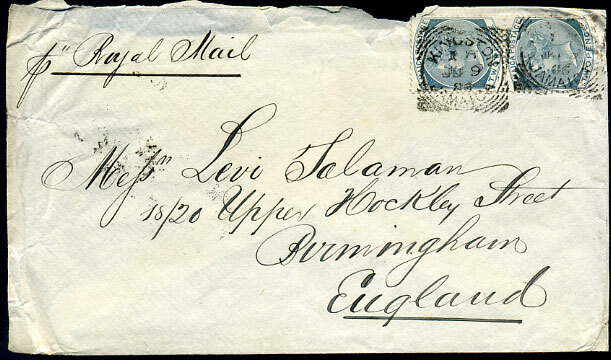 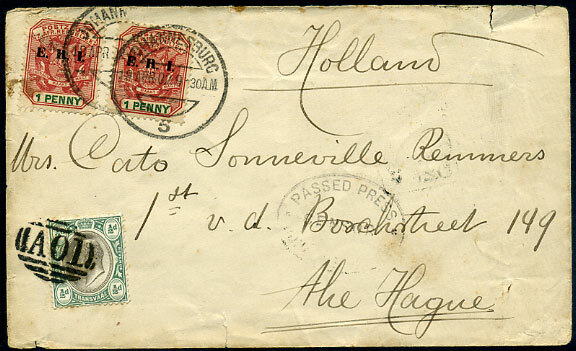 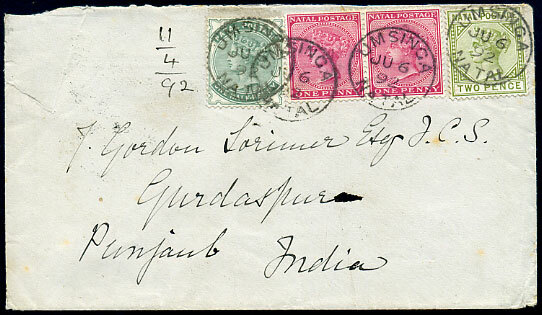 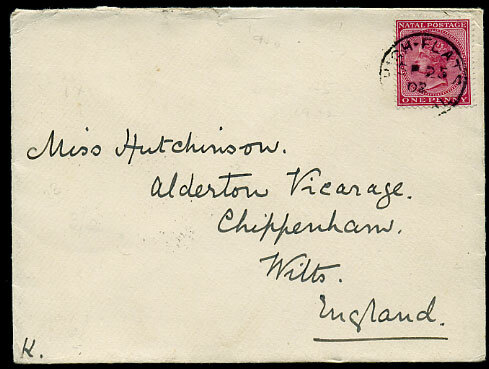 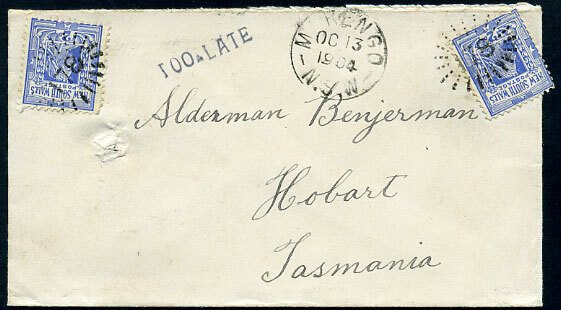 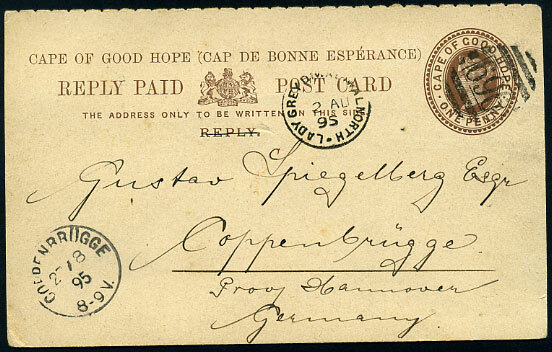 dated I A/JU 9 86 with pair QV 2d (SG.20a) on cover to Levi Salaman, Birmingham, reverse magenta J.H. 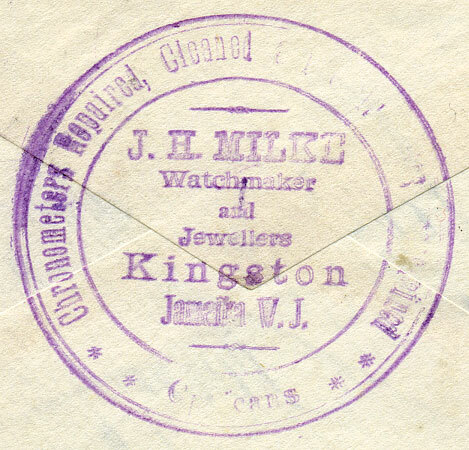 MILKE, Kingston Watchmaker and Jewellers h/struck cachet, peripheral faults. 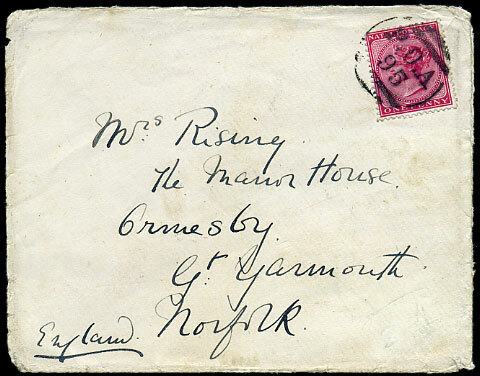 tying QV 1d (SG.99a) on cover to Ormesby, Norfolk, b/stamped LADYSMITH C/5 JY 00 d/ring and Great Yarmouth JY 28 00 cds. 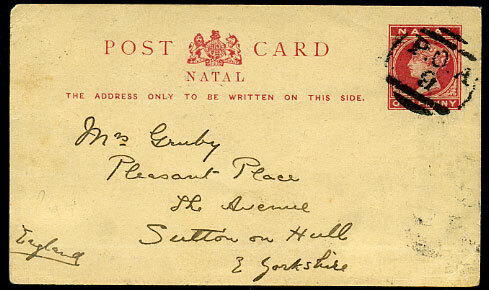 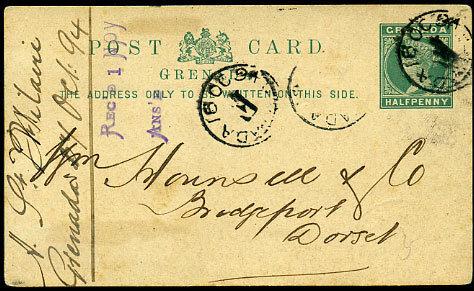 on QV 1d Post Card to Yorkshire, reverse GPO F/8 AP 98 transit. 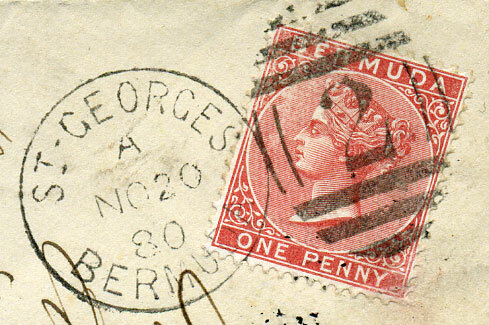 (N) dated SP 25 02 on QV 1d (SG.99a) cover to Chippenham, Wilts.